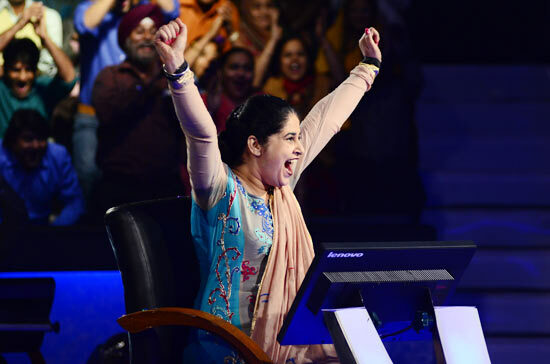 A 37-year-old Mumbai housewife and tuition teacher, Sunmeet Kaur Sawhney, is the winner of the Rs 5 crore jackpot in the game show Kaun Banega Crorepati 6. The final episode, featuring Sunmeet winning, will be aired on January 12. Born in Chandigarh, Sumeet moved to Mumbai after her marriage to Manmeet Singh 42, a small-time actor. The couple has two daughters. They live in a rented flat in suburban Mumbai. Sumeet tells Rajul Hegde what it feels like to be a winner. Congratulations. 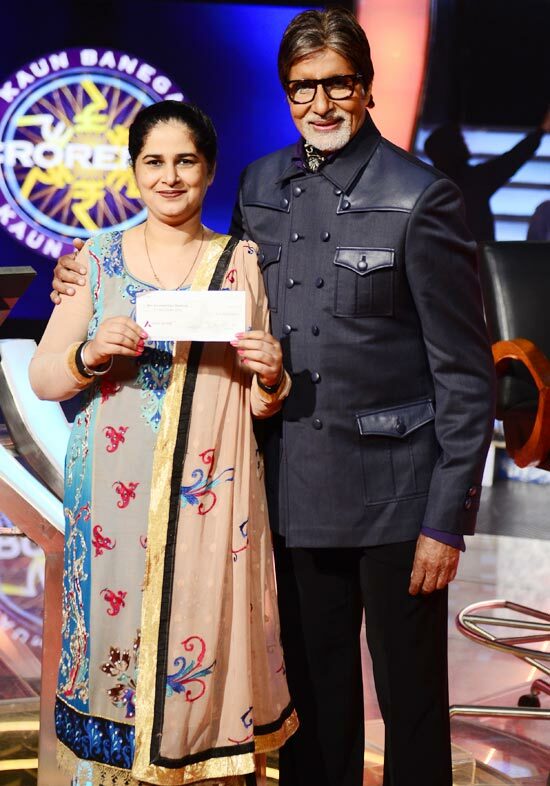 What does it feel like to win Rs 5 crore? Thank you. There are no words and the feeling is yet to sink in. I cannot believe that 13 questions have turned my life around! I never dreamt of acquiring such a huge amount in my life. Winning the jackpot was the last thing on my mind. I am treated like a VIP with several interviews lined up. How many times did you try to come on KBC? I used to call at least four-five times every year. This time luck was on my side. I got selected, went for a written test and an audition, and then sat in the hot seat and finally won the jackpot. What was your first reaction when you were called for an audition? I was so excited. I didn't tell my husband because I wanted to surprise him. I lied to him and went for the audition round. The day I was leaving for Delhi for a relative's wedding, I got a call from KBC to play the game on January 4. I couldn't hide this news because I was going mad with happiness, and plus I was informed to bring my husband along for the shoot. My daughters were not allowed because they are below 18 years. So how did you prepare for the show? I have studied only up to class 12.. My parents wanted me to study further but considering my grandfather's poor health and his wish to see me married, I couldn't study more. After marriage, I got caught up in household chores and responsibilities. I have been giving tuitions to children in my building from LKG to class seven for the last four years. This came in handy while preparing. I read my elder daughter's economics textbooks, brushed up my history from my younger daughter's history textbooks and almost mugged up the newspaper. I read several quiz books by Derek O' Brien (smiles). So what was the experience of being in the hot seat? My daughters are very big fans of Mr Bachchan so they were more excited that me. The previous night my daughters did a small video on him. My favourite Amitabh Bachchan movie is Mard. When my students cry I tell them his famous dialogue: Mard ko dard nahi hota. Mr Bachchan was a great influence on the show. The first thing he told me was to remain calm. He explained how some contestants who played fine initially, lost out towards the end because they lost focus or became anxious. The toughest thing on the show was getting the fastest finger first. If you are through in that round, then you will definitely make some money. I had saved my lifelines for the jackpot. I knew the answer but I wanted to double check so I used my lifeline in the last round. I couldn't believe that I had won! Mr Bachchan had to come and hug me for me to believe that I have won Rs 5 crore. My husband also had to come and tell me so. All I know is that I will definitely do some charity work. I want to sponsor some rituals of our Punjabi tradition. So, a part of the amount will go there. The elders in my joint family will have the final say on how and where we will spend the rest of the money. My friends, relatives and neighbours have been calling from yesterday after the news, but I am unable to meet them because I am busy with interviews.